Can games be art? When film critic Roger Ebert claimed in 2010 that videogames could never be art it was seen as a snub by many gamers. But from the perspective of philosophy of art this question was topsy turvey, since according to one of the most influential theories of representation all art is a game. Kendall Walton's prop theory explains how we interact with paintings, novels, movies and other artworks in terms of imaginary games, like a child's game of make-believe, wherein the artwork acts as a prop prescribing specific imaginings, and in this view there can be no question that games are indeed a strange and wonderful form of art. 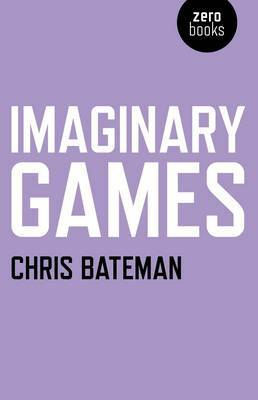 In Imaginary Games, game designer and philosopher Chris Bateman expands Walton's prop theory to videogames, board games, collectible card games like Pokemon and Magic: the Gathering, and tabletop role-playing games like Dungeons & Dragons. The book explores the many different fictional worlds that influence the modern world, the ethics of games, and the curious role the imagination plays in everything from religion to science and mathematics.